Do you enjoy making and wearing simple shawls and wraps? Then Happit is for you! 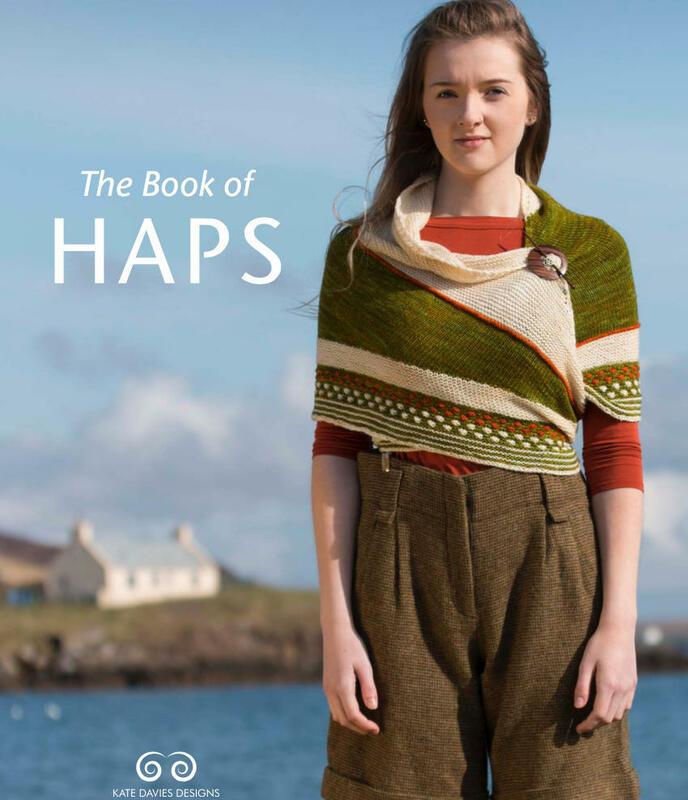 In this new book, Kate Davies introduces you to five of her favourite wrap and hap designs. Exploring a range of different knitting techniques from simple lace to colourwork, each pattern has been carefully created with easy-to-follow directions (including charted and written instructions where relevant) and each design offers a characteristic combination of straightforward knitting together with stylish results. Accompanied by two essays by Kate, and stunning photography by Tom Barr, take your choice from the patterns on offer in this book and you are sure to be well happit. After purchase, you will receive an email with a direct download link (to enable you to access your book straight away) and unique download code (to allow you to access the pattern via Ravelry, if you wish). We recommend that you download your patterns as soon as your message arrives as the link may expire after a few days. Follow the directions to pop the book into your Ravelry library. If you've not received your download instructions within 24 hours of placing your order, please first check any spam / social / promotions folders that may be set up on your account, then email us at info@katedaviesdesigns.com.